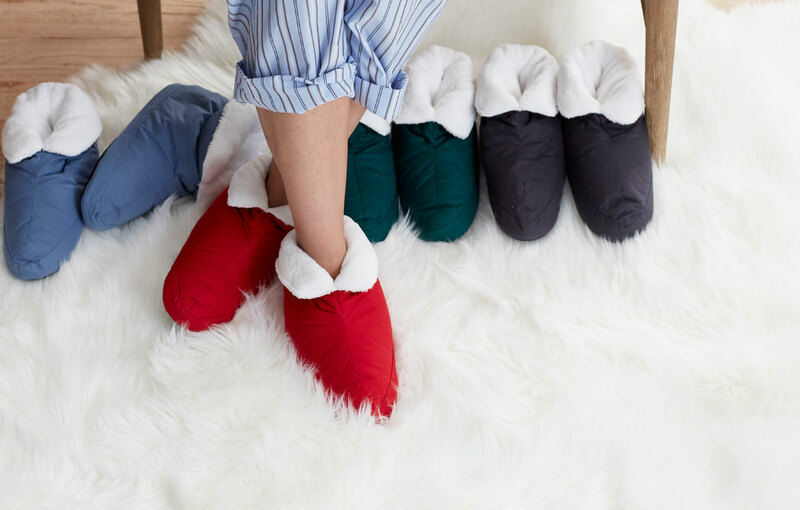 With comfy linens and cute decor, here's how The Company Store is helping us prepare for the holiday. Everybody knows that a good morning starts the evening before. Of course, Christmas is no exception. With anticipation building throughout the holiday season and leading to the discovery of St. Nick’s visit, the stakes for December 24th are even higher! On Christmas Eve, we’re looking forward to adding our favorite holiday traditions to our nighttime routines, such as hanging stockings and leaving treats for Santa by the hearth. 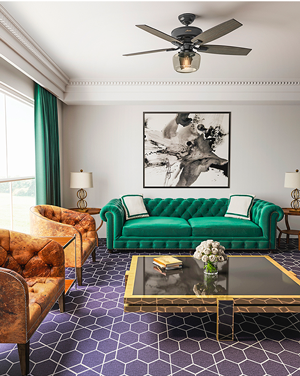 After a long winter’s nap, we’ll wake up with excitement to relish the magical feeling that comes from time together and the comforts of a cozy home! With over 100 years of experience, The Company Store is an authority on tradition and comfort. This holiday, it’s our one-stop-shop as we prepare our homes for a memorable Christmas Eve and a magical Christmas morning. These six essentials will help make it happen! Add winter whimsey to your holiday decor with appliqué wool stockings and add a monogram for a personal touch! 1. Stockings All Hung by The Chimney with Care. There’s nothing like decorating to get into the Christmas spirit. We’re aiming for winter whimsey with these adorable wool stockings that feature appliqué creatures and embroidered details. The old-fashioned feel will blend perfectly with our heirloom ornaments and new favorite finds. Bonus: They’re the perfect size for Santa to stuff! There are plenty of patterns to choose from and multiple styles available in each pattern, you’re sure to find something fun for the whole family! 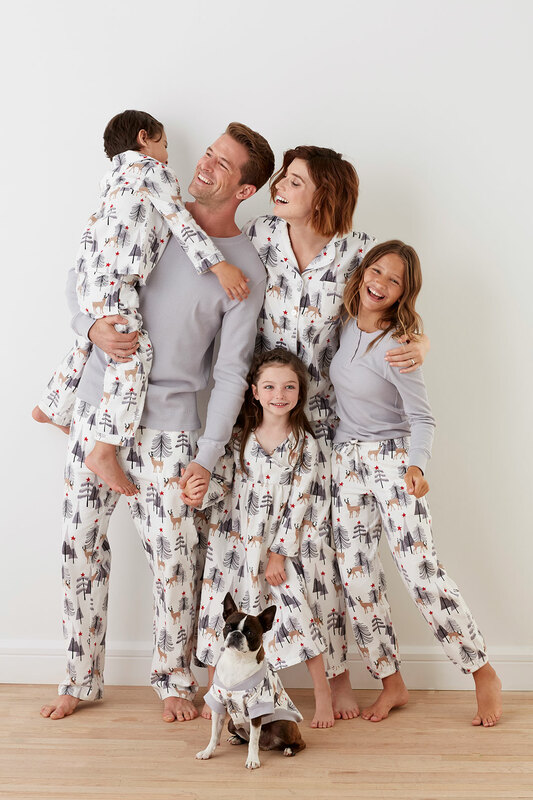 Matching Christmas pajamas are a fun tradition that will keep everybody warm, cozy, and feeling festive, including your furry family members! 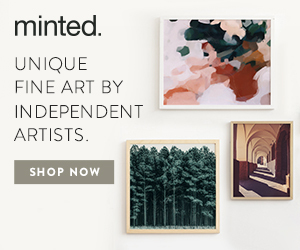 There’s multiple patterns and multiple styles in each pattern so you can choose the perfect fit. It’s cold out, so you’ll want to layer up with a comfy bathrobe and a pair of slippers. These booties are filled with down, offering that walking-on-air-feeling without sacrificing warmth. Pick up enough pair for the whole family and maybe a few friends too, because these affordable luxuries also make great gifts! Carved in mango wood and finished with a light walnut stain, these durable and festive platters are great for holiday parties, Christmas celebrations and Santa’s snacks on Christmas Eve. 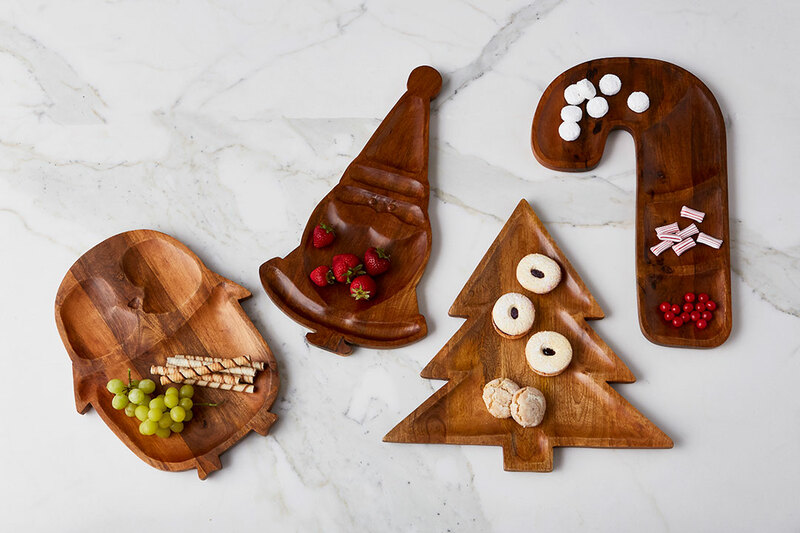 These cute carved dishes come in four different festive styles. The durable mango wood design will take us from one holiday party to the next, and right up through the holiday. We’ll also pick our favorite (candy cane or penguin? It’s a tough call!) to feature Santa’s snacks for his visit. Don’t forget to leave carrots for the reindeer! 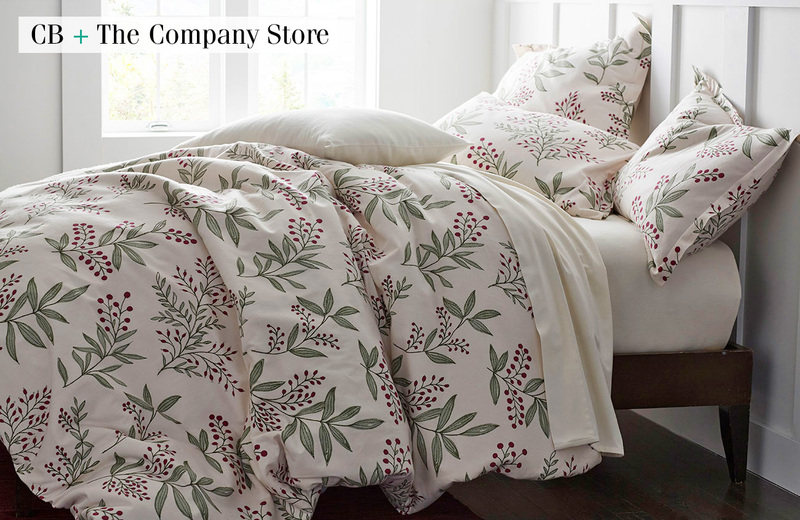 Snowberry Flannel Bedding features red berries and green leaves on a wintery white background. 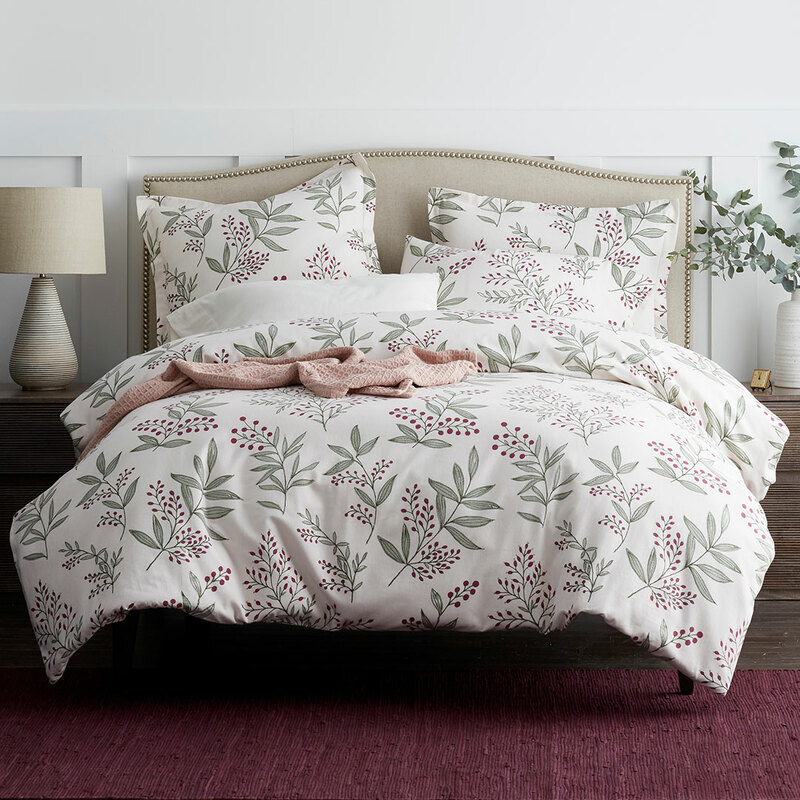 Comfortable bedding is an every-night essential, no matter the season. During the winter, however, there’s nothing like flannel to keep out the cold. Our pick for Christmas Eve is the Snowberry set, made with 100% brushed cotton for a clean and cozy long winter’s nap. Spoil your pet with cute and comfortable accessories that coordinate seamlessly with your own decor. 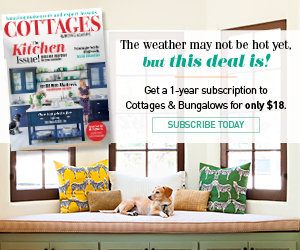 Your pup can also snuggle up in bedding of their own! 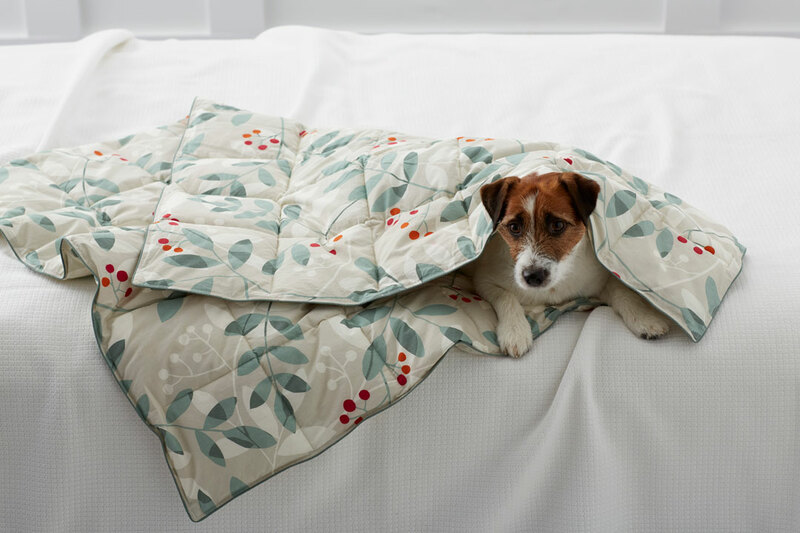 The Company Store offers plenty ways to spoil your pets this holiday, including this cute comforter that will seamlessly blend in with your own decor. Santa sacks are a great way to keep presents corralled. 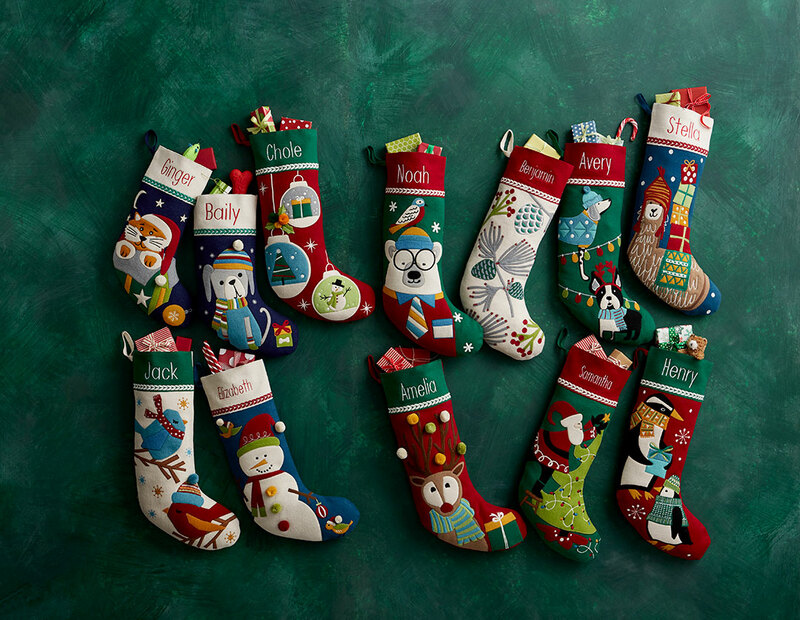 Choose a different pattern for each recipient and fill with evidence of Santa’s visit. 5. On Christmas Day in the Morning! Pretty packages complete with ribbons and creative tags are an exciting sight! This year, we’re also thinking of clever ways to keep those presents corralled and a Santa sack is just the thing. Even better? 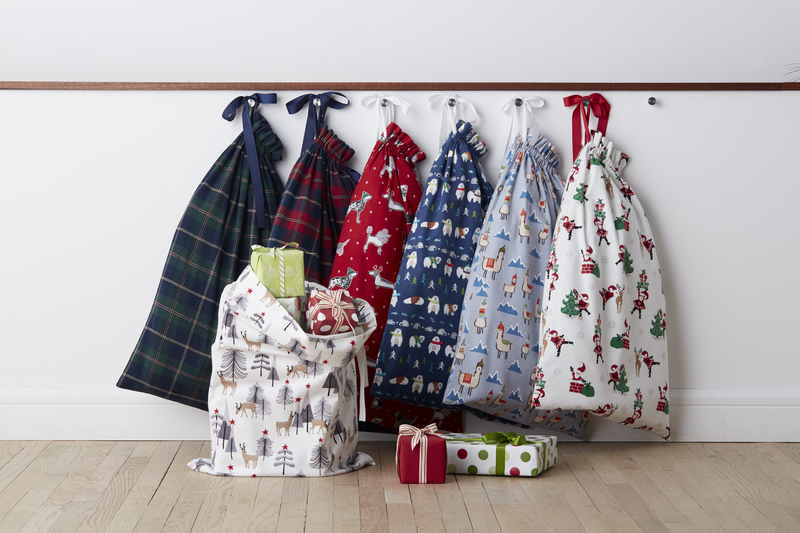 You can coordinate these sacks with available pajama patterns! Time together is the real treat of the holiday. Most of our favorite memories come from meals shared together, whether it’s an intimate Christmas brunch or a show-stopping dinner with friends, family and the largest ham to be found. Our goal: something that’s pretty and practical. With durable dishes, natural elements candlelight to cast a golden glow. 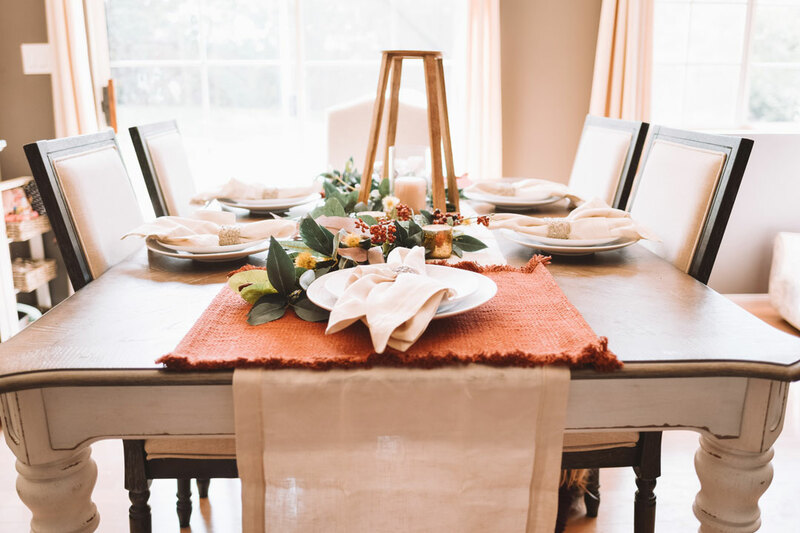 We’ll be planning the perfect tablescape to set the stage for all the new memories we’ll make this year.